Link to Keith Squires web site, where he postulates that the GP incorporates the phi but not the pi relationship. 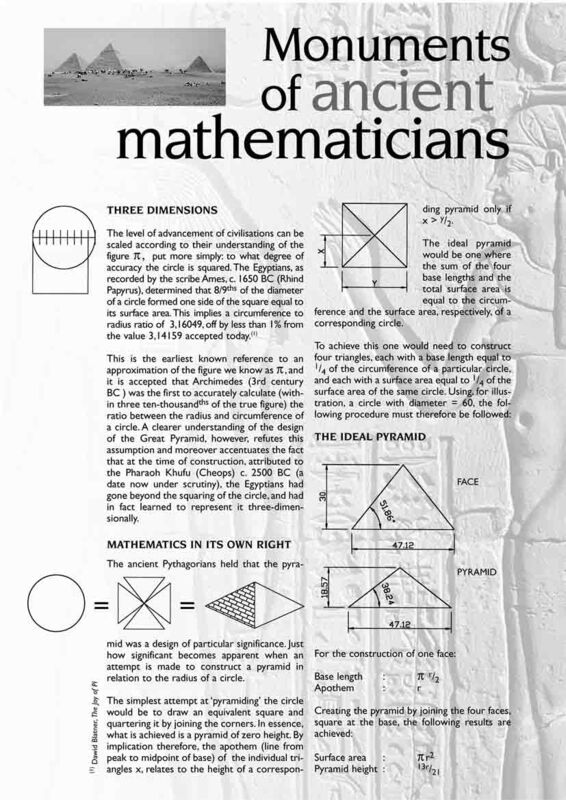 Link to new web site containing details of the Giza Plateau geometry worked out by researchers David Ritchie and Simon Cox (note that although my own replanning arguments against the Orion Correlation theory extend to any attempt to establish a geometric master plan, readers should be allowed to make up their own minds by looking at alternatives - IL). 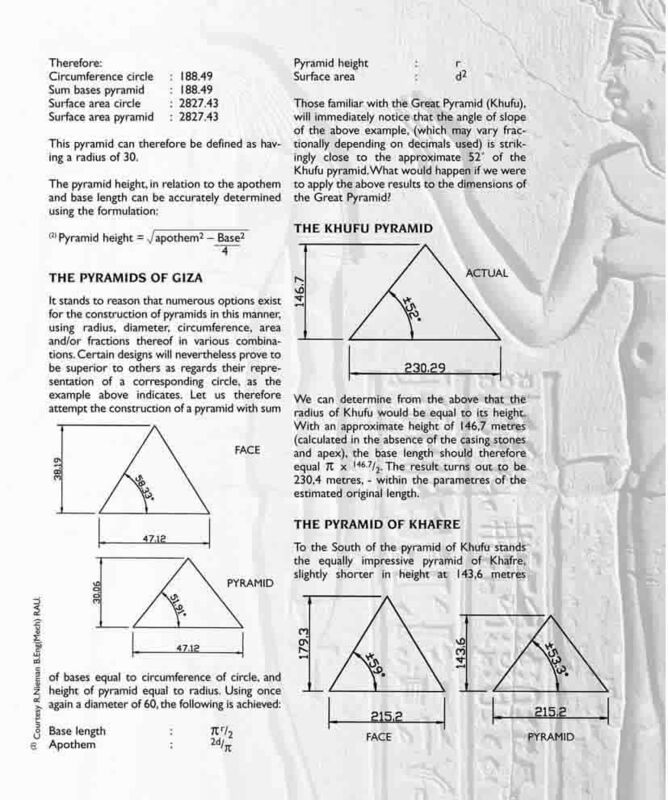 Link to new website provided by Barry McCann in which he explores a variety of aspects of pyramid geometry, including especially Mick Saunders' 'octagonal' theory. Much has been made of the 3rd Pyramid being offset. It forms the basis of the Orion Correlation Theory, but this does not take into account all the other smaller edifices on the Plateau such as subsidiary pyramids. Is there a more all-encompassing theory of the layout that can account for all of the major structures? 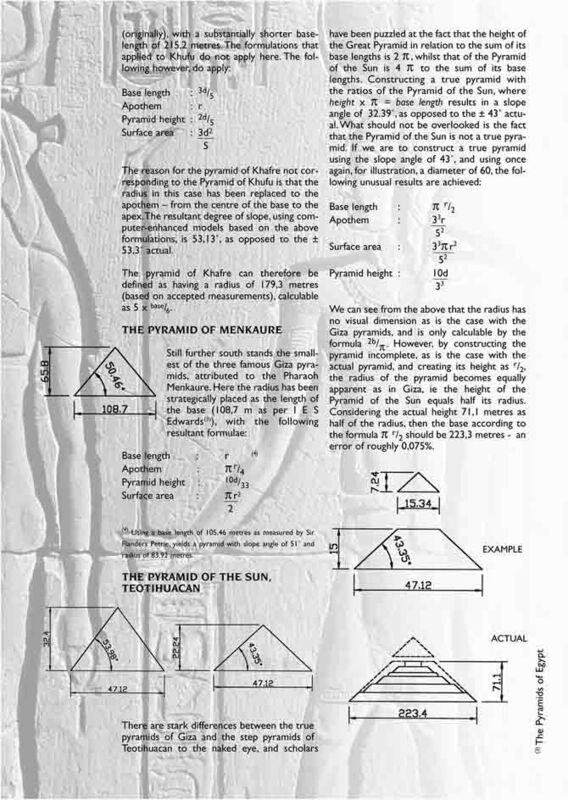 Looking at Figure 1, let us commence by sighting lines through the two sets of subsidiary pyramids of the 3rd Pyramid (line AB, east-west) and the Great Pyramid (line BC, north-south) respectively. Now let us form a triangle by sighting another line that passes through the centres of the Great and Second Pyramids (line AC). This may seem a somewhat arbitrary starting point for analysis, but hopefully the full implications of this initial geometric model should soon become clear. If we now sight a line that bisects the angle at point A, we find that not only does it pass through the centre of the Third Pyramid, but also that it meets the line BC at Campbells Tomb. However, more intriguingly, if you were stood at point A during the period 2700-2400 BC, on mid-summers day you would see the Sun rise directly behind the 3rd Pyramid. This is why we do not have an exact equilateral triangle, because the angle at point A is 47 degrees, so that when bisected it gives the 23.5 degrees of the tilt of the Earth. 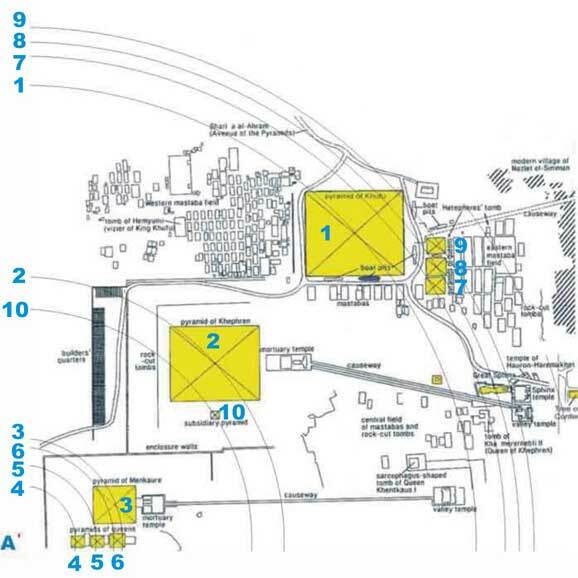 Moreover, during the same period if you were stood at point B looking directly north at dusk you would see Polaris rise behind the three subsidiaries of the Great Pyramid. Clearly this assumed groundplan places the planets in their correct order. But when we examine the relative sizes of the various pyramids against the relative sizes of their corresponding planets, it is clear that we have a great many anomalies. At the very least Jupiter and Saturn are massively larger than all the others, as they should be, but in general it appears we may be looking at a largely symbolic rather than a highly accurate mapping of the "above" in the "below". 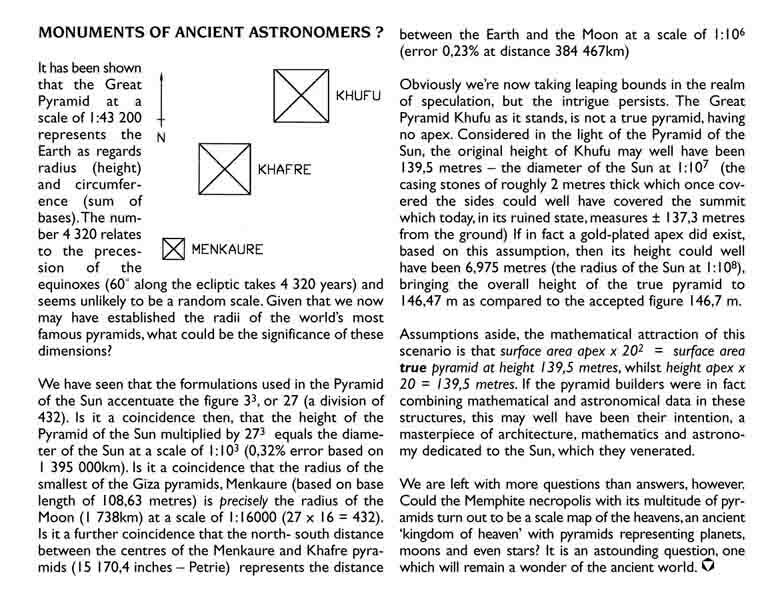 As for the distances between the planets, if we were looking for accuracy it would clearly be impossible to maintain the correct overall scale unless one started with pyramids representing Mercury, Venus, Earth and Mars which were so miniscule and close together that they could easily be overlooked or damaged. Conversely, if we take their position as our starting point then Uranus, Neptune and Pluto would have to be in the middle of the Mediterranean. It may be that they are all presented on a sliding scale, perhaps in three different sections from the Sun to the Asteroid Belt, from the latter to Saturn, and from that on to Pluto. But again, overall we might assume that the architects did not have totally accurate information about the size and positioning of the planets, but did at least have a general idea of the layout that they wanted to represent on the Giza Plateau. But how would they have known about the three outer planets? I can only suggest that they had some sort of lenses, and the recent findings concerning crystal lenses dating as far back as the Old Kingdom collated by Robert Temple in his The Crystal Sun (Century, 2000) suggest that this may not be as far-fetched a suggestion as it at first appears. Nevertheless one might argue that Pluto is so tiny that even then they would not have been able to detect it. This is a theory I have been working on for some time. It is not completely watertight, although there are other interesting aspects that I have omitted from this overview. At present I simply look forward to receiving constructive feedback on max@futuresound.f9.co.uk. 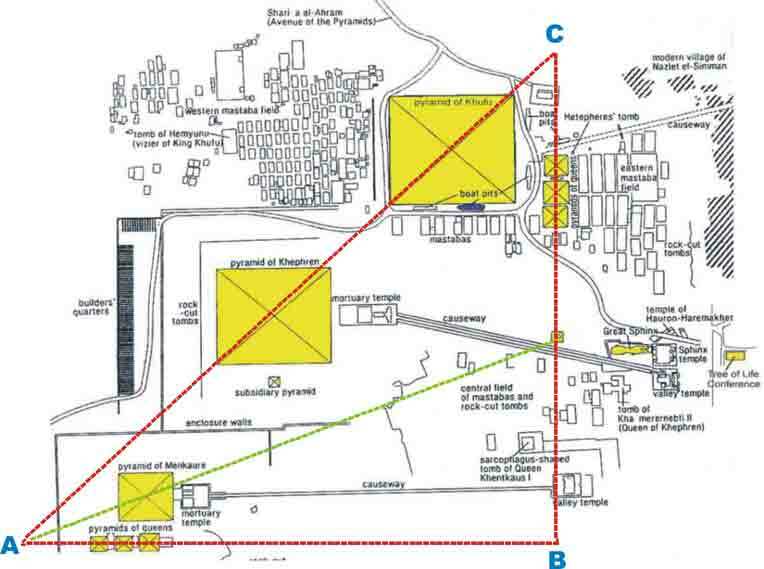 Link to paper by correspondent Leon Cooper entitled 'The Architect's Plan' in which he describes the geometric designs behind the internal and external layout of the Great Pyramid.